Felt is the oldest textile known to man. Felt is an incredible fabric; natural, eco-friendly, warm, breathable, soft, malleable and naturally antimicrobial. 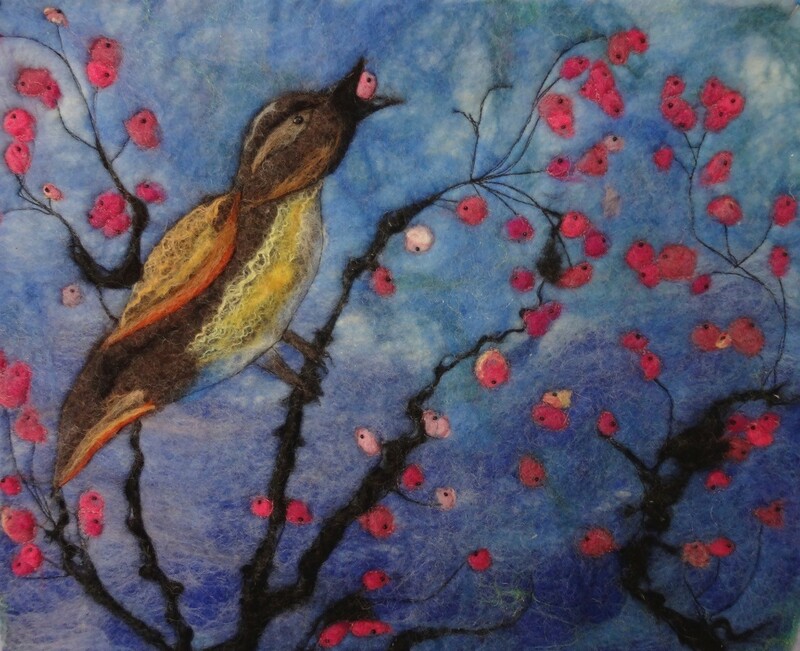 In this class you'll learn the basics of wet felting - combining warm water, soap and a little elbow grease with dyed wool fiber to make felt. 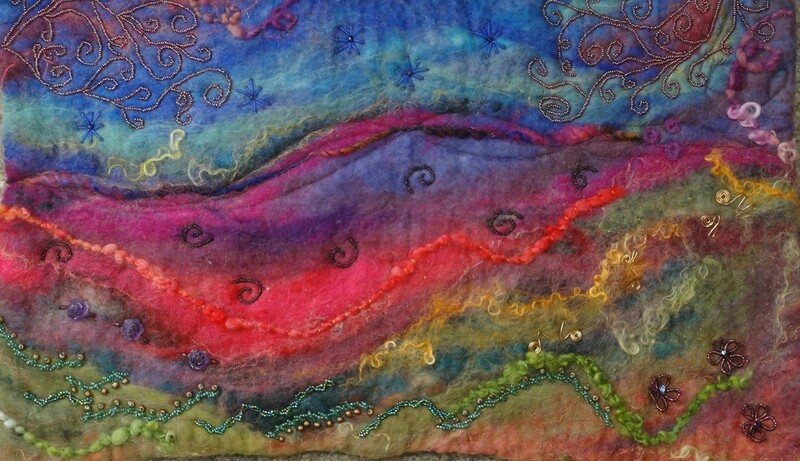 There are other fun textures to add: silk, bamboo, wensleydale curls, silk hankie, Angeline, hand spun and hand dyed wool yarns. This workshop is an opportunity to PLAY with fiber and color to create your image of your choosing. Your "painting" can be a wall hanging, a cover for a journal, a pillow cover or what ever your imagination comes up with. You may bring an image or create one as you go through the process. "Images in Felt - Part 2" is an nice addition, but not required. 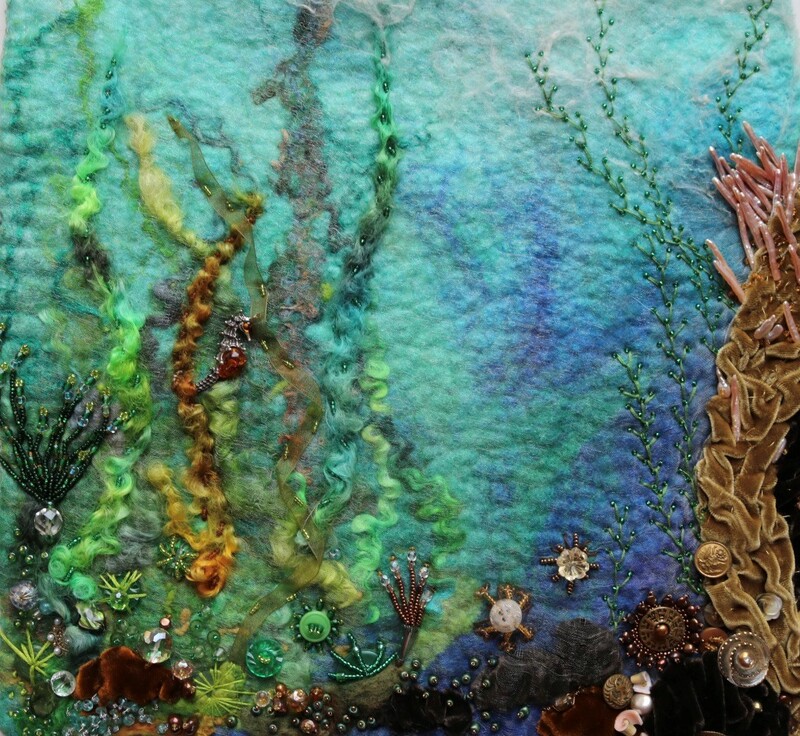 Needle felting will add more texture, depth and detail to your piece. I encourage you to participate in this workshop. It will complete the whole experience of working with this amazing medium. Please read the evening class description the following day, for additional information. All the Merino wool roving dyed in delicious colors. Lots of other textures to experiment with. Resist materials, soap and other necessaries. Please bring a large bath towel and a few hand towels. You may like to wear an apron, we will be working with warm water. A plastic, personal size empty water bottle - 23.7 ounce is ideal. Gloves if you are sensitive. Please bring a plastic trash bag to transport your wet towels in.